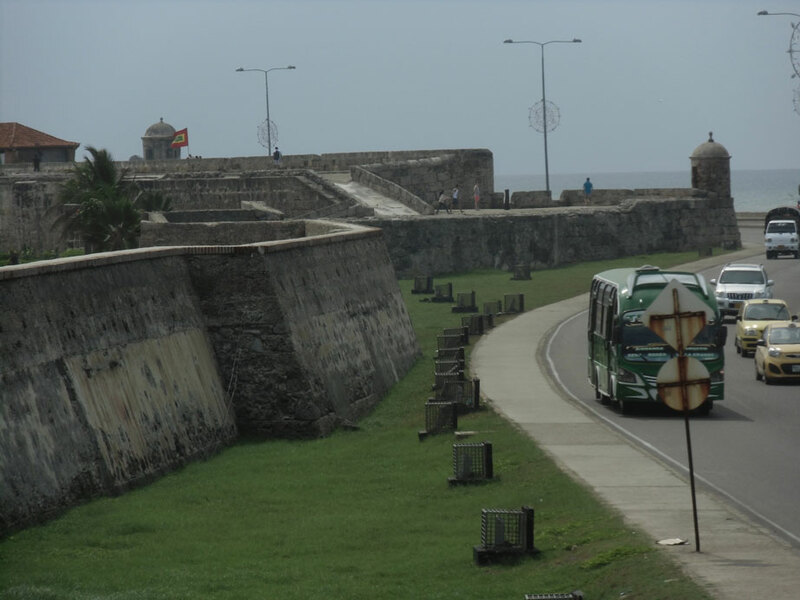 During a visit to Cartagena, Colombia this past Thanksgiving break, I spent much of the time exploring the old walled city and neighboring fortress of San Felipe de Barajas. The fortress, while large and imposing, is not aesthetically pleasing. The visual design of the fortress lacks clear symmetry and structure giving the overall impression of a fortified mound. The old city walls on the other hand, zigzagging against the grass and sea and topped by Moorish-looking towers, are a compelling sight. I tend to be reflexively dismissive of New World “castles” and fortifications as not being truly medieval, however, parts of Cartagena’s fortifications, built in the early 16th Century, actually predate my favorite Japanese Castle Matsumoto-jo which was built in the 1590s.